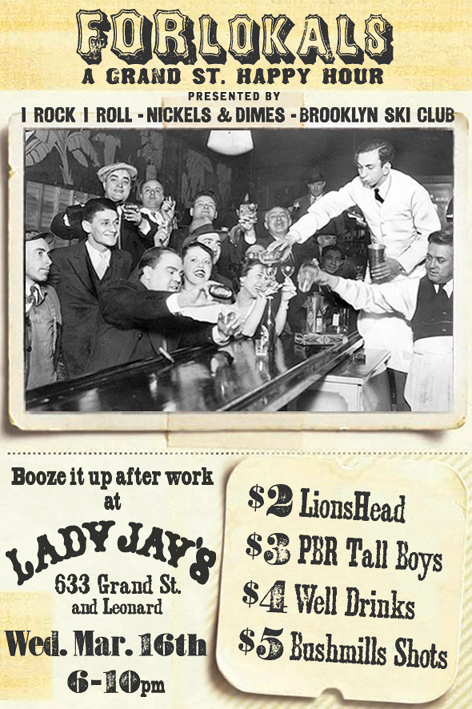 We're doing another edition of our bi-weekly happy hour at Lady Jay's. Nora is out of town so I'll be taking over her DJ duties. 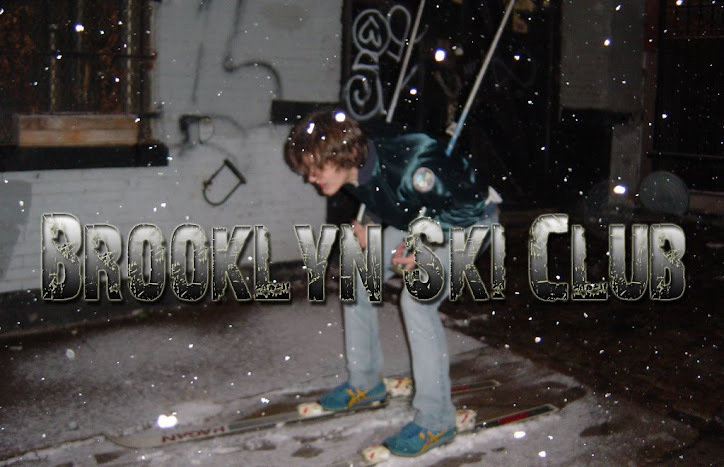 I'll be playing garage, punk, grunge, country and tons of Brooklyn bands. I've never actually DJd in public before so come out and watch me embarrass myself. The drink specials are $2 Lionshead, $3 PBR Tall Boys, $4 wells and $5 Bushmills shots 6-10pm. After that keep drinking, 2 Lionshead for $5 special goes all night.